Leaving behind a world on the brink of destruction, man came to the Red planet and found the Martians waiting, dreamlike.Seeking the promise of a new beginning, man brought with him his oldest fears and his deepest desires. Man conquered Mars?and in that instant, Mars conquered him. The strange new world with its ancient, dying race and vast, red-gold deserts cast a spell on him, settled into his dreams, and changed him forever. 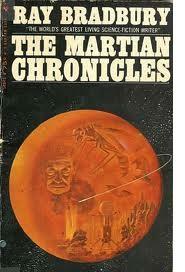 Here are the captivating chronicles of man and Mars.